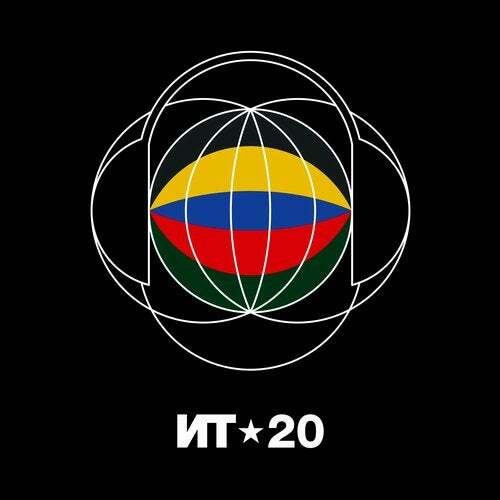 Nordic Trax celebrate 20 years with new compilation. Featuring tracks & remixes from Mark Farina & Homero Espinosa, Cristoph, Halo Varga, Fish Go Deep, Jay Tripwire, Harri & The Revenge, JT Donaldson & many more. 20 Years of Nordic Trax marks a significant milestone for Luke McKeehans globally-recognized label based out of Vancouver. The compilation is both retrospective and fresh, featuring exclusive new tracks from the acclaimed label roster alongside a selection of Luke's personal favourites. The exclusive tracks on the compilation include a remix by West Coast legends Mark Farina (Great Lakes) & Homero Espinosa (Moulton Music) of Alexander East's iconic 2008 track 'Believe En Me'. French producer Giom (Supremus) delivers an epic rework of Gavin Froome's 2016 hit 'Don't Come Home' and Brett Johnson flips Johnny Fiasco's Remix of 'Chameleon' by Krown & Lock with his own custom 'Bredit'. Alongside these new remixes are original tracks from the label roster by Spain's Nacho Marco (Loudeast), Canadian house don Jon Delerious, London producer Finest Wear and prolific Irishman Gavin Boyce -- all of whom have a special relationship with Nordic Trax. Combing the back catalogue for gems McKeehan has selected some classic cuts, all remastered for the compilation. Highlights include Slackjaw from Harri & The Revenge (one of The Revenge's first productions! ), Speaking With Sounds by JT Donaldson & Chris Nazuka, Wanting You by Kelvin K and Sunsets by Gavin Froome -- a track originally championed by DJ Harvey on his Sarcastic disco compilation and recently 'rediscovered' by Art Department, Shaun Reeves & many others. Support of Nordic Traxs recent releases continues to pour from the likes of Dixon, Skream, Joris Voorn, Luciano, Kenny Dope, DJ T, King Britt, Tensnake, Laurent Garnier, Danny Tenaglia, Fish Go Deep, Franck Roger, Jamie Jones, Dubfire and many more.